When you think about visiting Texas, what destination comes to mind? Dallas, Houston, or Austin? What about great American beach getaways? Do your thoughts run to Hawaii, Miami, or California? If so, you're missing out on Galveston, Texas, where laid-back beach culture meets good old-fashioned southern hospitality. No matter what kind of traveler you are, Galveston has what you're looking for and deserves a place on your vacation wish list. Because it's not the first place that pops up when people think about Texas or beach vacations, the island is a great find for budget-conscious travelers. Affordable Galveston hotels are plentiful: most of the restaurants have a casual vibe and prices to match, and there are lots of low-cost or free activities to keep you busy. For example, get a great deal on a stay in the East End Historic District and spend an afternoon searching for tree sculptures. After Hurricane Ike in 2008, residents paired up with local artists to transform damaged trees into beautiful wooden sculptures, more than 30 of which can be found throughout the neighborhood. Galveston's Gulf Coast location means visitors can get an authentic taste of other cultures without leaving their home country. El Mercadito Y Taqueria on Broadway and 38th Street serves up delicious tacos on homemade tortillas and enchiladas with green chile sauce, and it's a great place to pick up Mexican and South American ingredients for your kitchen back home. Try a whole fried fish with plantains amid the decor of soccer jerseys at Honduras Food, situated on 23rd Street a few blocks south of Broadway. Or go local and indulge in Tex Mex at little-known Los Molcas, where you'll find huge portions and a BYOB policy. Galveston packs in both a water park and a pleasure pier for kids and adults who are kids at heart. Schlitterbahn Water Park is a wet and wild playground featuring slides, rides, boogie boarding, a zip line, a swim-up bar, and tons more for a day of splash-happy fun. Unlike most theme parks, you can bring your own food and drinks to save money. If you want to experience a classic beachside amusement pier, head to Galveston Island Historic Pleasure Pier, where you'll find games, rides, carnival treats, and a whole lot of nostalgia. Galveston isn't just a killer southern beach destination: it's home to a busy cruise port that's a perfect gateway to the Caribbean. One thing the highly walkable Port of Galveston has over other popular cruise ports like Miami and Fort Lauderdale is that the Historic Downtown District is right across the street. That means you're just steps away from shops, restaurants, and examples of the Victorian iron-front architecture that this barrier island is famous for. Rain or shine, you'll never run out of things to do in Galveston, and you won't have to fight crowds of tourists to do it. 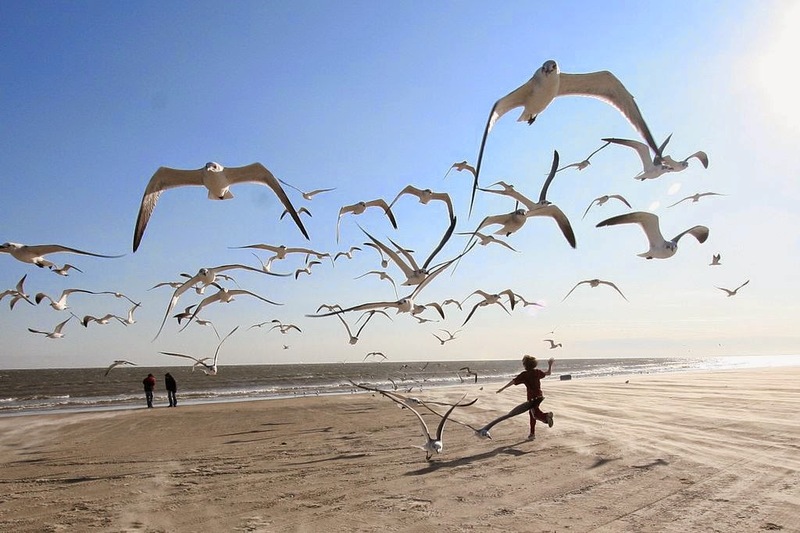 Have you traveled to Galveston? What was your favorite part of the experience?